2015 AIA Central Valley - Advocacy Update Prequalified Architectural Submittal System "PASS"
"Complex helps foster artistic collaboration"
2014 AIA California Council Members in the News: "Mr. Malinowski Goes to Washington"
2014 RecordNet: "Road to Yosemite Began Right Here in Stockton"
2014 RecordNet: "Home Sweet Home"
"the Globe Mills project transformed the mill remains includinng the six story concrete silos into a thriving residential mixed income community." “… project's heart and soul, a historic warehouse that once stored Model T cars, remains vacant and padlocked, a testament to the pitfalls of urban redevelopment in a bad economy. MFMalinowski AIA Architect of project. 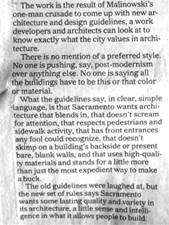 2010 The Sacramento Bee Can City's Architecture go from Blah to Bold? 2009 Inside the City Magazine They Did It! 2007 The Sacramento Bee You Think This Complex Looks Weird Now…?" 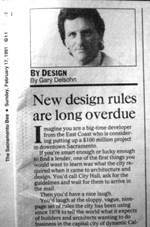 2004 The Sacramento Bee Quirky, fun; when will it be done? Malinowski conquers the "last frontier" in home design - the garage! 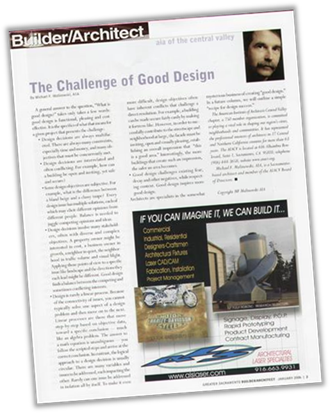 MFM interview: “window of opportunity for remodeling"
Over 100 additional articles authored by Michael F. Malinowski; all written to empower homeowners in making good choices in creating and maintaining safe, efficient and beautiful living environments for their families. 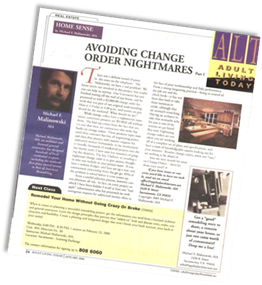 These articles included monthly columns in several community magazines, classes and speaking engagements for community organizations of all types. 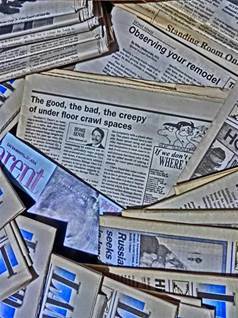 Many dozens of publications going back to 1981 which featured articles by MFMalinowski AIA, quotes from MFM on newsworthy topics, or projects on which M.F.Maliowski AIA was the architect.